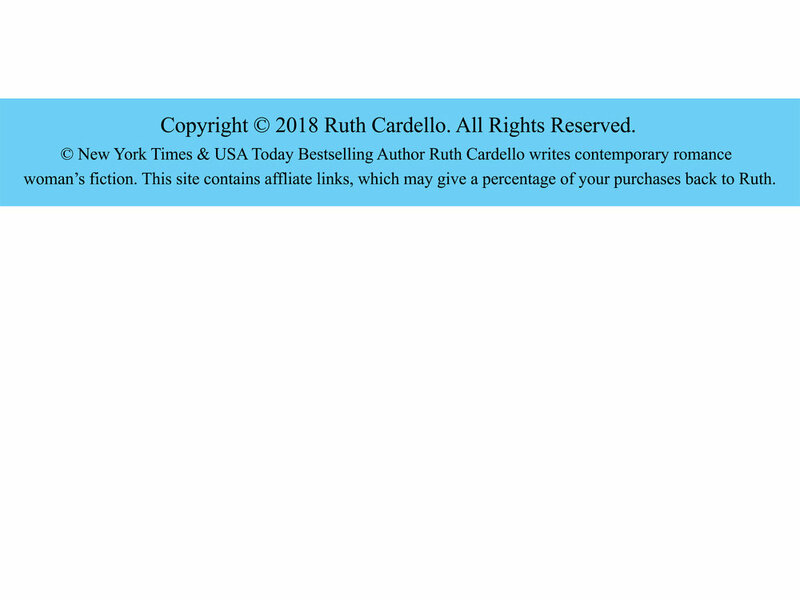 Ruth Cardello hit the New York Times and USA Today Bestsellers Lists for the first time back in 2012. Millions of sales are evidence that her that her books are akin to potato chips, addictive from the first one. She has created a multi-series billionaire world with a combination of escapism and realism that has gained her a faithful following of readers. "Love this series. Got me to start reading again. I look forward to the next book. Thank you for giving me the love of reading back. "Ruth Cardello was born the youngest of 11 children in a small city in northern Rhode Island. She spent her young adult years moving as far away as she could from her large extended family. She lived in Boston, Paris, Orlando, New York--then came full circle and moved back to New England. She now happily lives one town over from the one she was born in. For her, family trumped the warmer weather and international scene.